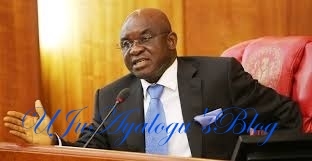 Former President of the Senate, David Mark has explained why the Peoples Democratic Party handed over the party’s structures to Governor Samuel Ortom of Benue State. Ujuayalogu'sBlog reports that PDP handed over the party’s structure to Ortom at an expanded caucus meeting held in Makurdi on Monday. Speaking with newmen shortly after the meeting, Mark said that the stakeholders’ meeting was the first of the harmonised PDP since Ortom came back to the party. Senator Mark also added that both the old and new members of the party had equal rights in the party, stressing that it was on that basis that the party’s executive positions had to be reviewed so as to accommodate the people that just defected to it. “As they joined us we need to give them some positions thereby giving them a sense of belonging. “We have constituted an Integration Committee which will work 24/7 to ensure proper harmonisation right from the council ward upwards,” he said. “Our coming together was for the interest of the state and that was what brought them together,” he said. “There will be a level playing field for all the aspirants,” he said.